Hope lost no time in getting used to her new life after she was rescued, enjoy a dip in the pool whenever she can. Phnom Tamao Wildlife Rescue Centre, Cambodia - Nov 2013. 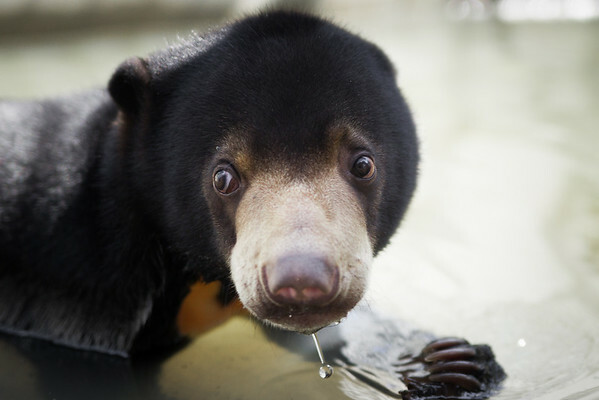 All proceeds from prints go to Free the Bears Fund, who rescued the bears in this gallery.